The LumberKings dropped their fourth straight on a frigid night in Clinton. CLINTON, IA (April 10, 2019) - Four runs in the top of the ninth inning by the Quad Cities River Bandits were the difference in a 7-4 loss for the Clinton LumberKings on Wednesday night. Clinton (2-5) battled back twice but could not hold off the late charge in what became their fourth straight loss. The scoring started early on a frigid night in Clinton with both teams pushing two runs across in the opening inning. Quad Cities (4-3) scored their first runs of the night capitalizing on a Christopher Torres error at shortstop. Three batters later - with two men on - Scott Schreiber flipped a double down the line in right for an early 2-0 River Bandits lead. The LumberKings answered right back in the bottom of the first. Torres homered off Nivaldo Rodriguez - his first of the year - and was followed two batters later by Jerar Encarnacion's first home run of the season that tied the score at two. In the top of the third inning, Quad Cities scored their third run of the night. Scott Schreiber walked with two men out in the inning and scored on a combination stolen base and two throwing errors to break the 2-2 tie. 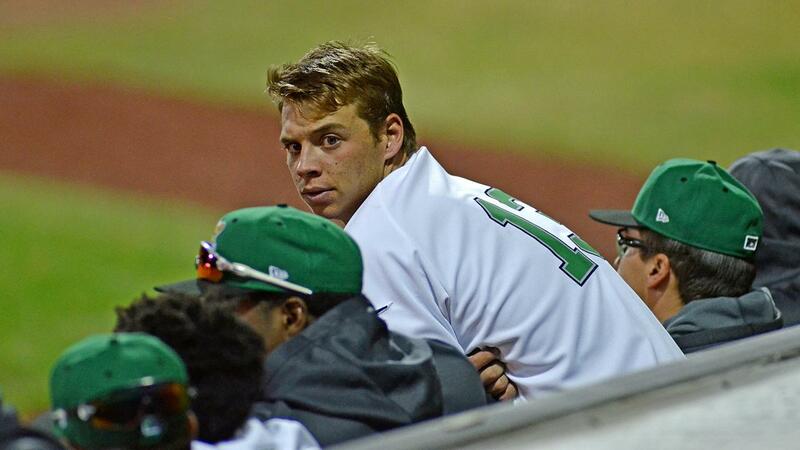 The run would be the last allowed by LumberKings starter Josh Roberson. Over his five innings of work he allowed three runs, none earned, on five hits while walking two and striking out eight. Clinton took their first and only lead of the game in the bottom of the seventh. Marcos Rivera opened the inning with a single off River Bandits reliever Humberto Castellanos and moved to second on a wild pitch. Michael Donadio singled to left to drive home Rivera and put the LumberKings on top 3-2. Castellanos (0-1) allowed no more runs over his three innings of work and earned the win for the River Bandits with six strikeouts. The one -run lead held for Clinton until the top of the ninth. Zach Wolf came on in relief and allowed five straight River Bandits to reach with one out in the inning. Enmanuel Valdez registered the biggest blow of the inning with a two-run single to right. Wolf (0-1) was charged with the loss and a blown save for his one inning of work in which Quad Cities sent nine men to the plate. The LumberKings will conclude their first homestand of the year with the series finale against the Quad Cities River Bandits on Thursday night. Clinton will give the ball to righty Humberto Mejia (1-0, 1.80) with Alberto Guerrero (0-0, 9.00) scheduled to piggy back the start. Quad Cities will counter with right-handed pitcher Cody Deason (0-1, 16.20). Thursday will be the first "Thirsty Thursday" of the year. Come down to the ballpark and enjoy select beers for just $2 - must be 21 years old.